Evans, E. M., Spiegel, A. N., Gram, W., Frazier, B. N., Tare, M., Thompson, S., et al. (2010). A conceptual guide to natural history museum visitors’ understanding of evolution. Journal of Research in Science Teaching, 47(3), 326–353. This study is an examination of the patterns of explanation in adult museum visitors about evolution and creationism, and the coherence of their reasoning patterns, including the persistence of intuitive childhood beliefs. The responses of all the visitors were a mix of novice naturalistic (intuitive), informed naturalistic (evolutionary), and creationist reasoning patterns. This paper can be of help to science educators to recognize different patterns of reasoning about evolution to support the development of a more informed understanding of natural selection, the micro- and macro- processes of evolution, and the evolutionary ideas of Darwin. 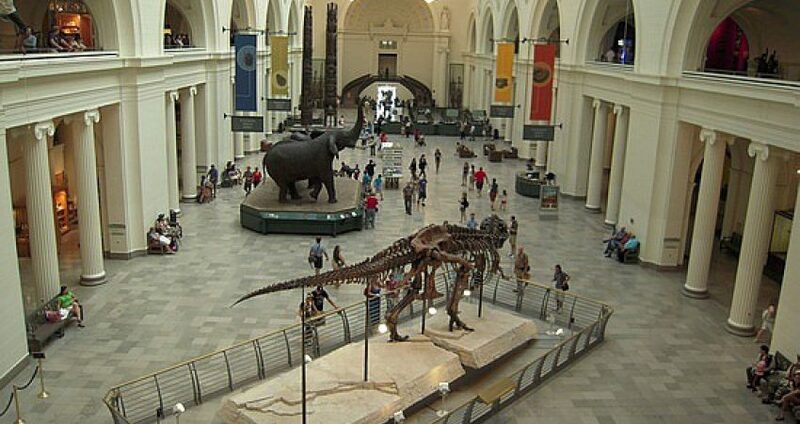 In three mid-western U.S. natural history museums, where exhibitions on evolution were to be held, 32 visitors were asked to explain seven problems relating to a number of different organisms – virus, diatom, ant/fungus, fruit flies, finches, human/chimp, and whale/hippo. It was not informed to the participants that the questions concerned evolution. The resulting explanations were coded into three reasoning patterns: novice naturalistic, informed naturalistic, and creationist. Novice naturalistic reasoning patterns were considered to be intuitive explanations also present in childhood, such as “you find this type of algae in this [colder] type of location” (Evans, p. 336) without noting an environmental influence; informed naturalistic responses included some understanding of key evolutionary concepts such as “they could have been derived from the same early ancestor” (Evans, p. 333); and creationist reasoning featured supernatural influences, for instance, “God created the algae with the DNA to expand into different kinds” (Evans, p. 337). The study found that while responding to the interview questions, the visitors use mixed patterns of reasoning. Most of them used a combination of novice and informed naturalistic reasoning patterns; approximately a quarter used a combination of creationist and either of the naturalistic patterns. Among those with creationist reasoning, one group dismissed evolution while the other would not apply evolution to humans but did apply it to the other organisms. The study reached the conclusion that even though, in general, most of the museum visitors were willing to accept evolution, many of them were not familiar enough with the fundamental evolutionary principles to understand Darwinian evolutionary change.